As a GreenArrow Cloud customer, you can start sending from GreenArrow as soon as you receive the login to the server by using the domain that was used to deploy your license. In most cases, the domain will look similar to this: c123.drhinternet.net. GreenArrow does have the option to Whitelabel your emails with your own domain. This document outlines the steps required to set this up. While some steps in this document do overlap with on-premise licenses, this is applicable only to GreenArrow Cloud Customers. If you are not a Cloud Customer, please reference our New Domain Setup documentation. First, you must choose which domain you’re going to use with GreenArrow. You will be updating DNS records for this domain, so you will need to choose a domain that is dedicated to GreenArrow (one that is not used for anything else). If you’d like to use a domain that you’re already using for other other applications (like for your corporate website or email), then you should choose a subdomain instead. For example, our company is DRH Internet with our website at https://drh.net, so using drh.net to whitelabel GreenArrow would take down our existing website. Instead, we will use a subdomain that doesn’t yet exist, like cloudexample.drh.net. 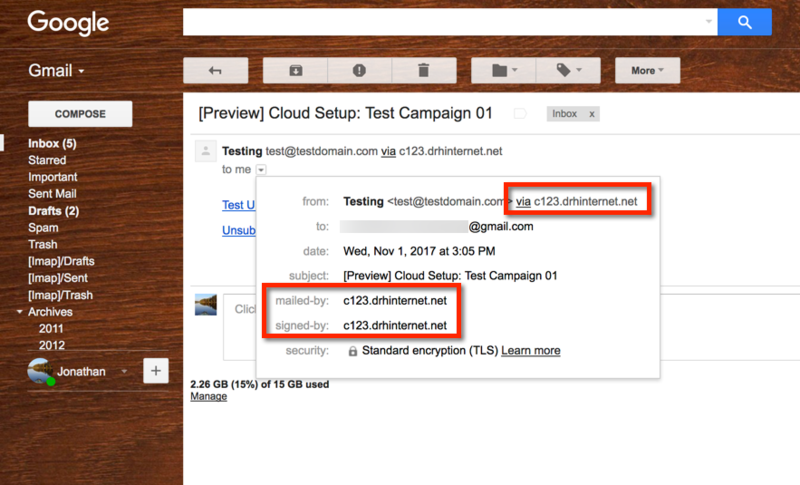 Notice that only the white labeled domain is present; your cloud server domain c123.drhinternet.net is no longer showing. If you host your domain on Cloudflare disable the CDN feature for the CNAME record after adding it. This is done by clicking on the cloud icon to the right of the record. The CDN feature is disabled when the arrow passes over the cloud - it doesn’t go through the cloud. Next, you’ll need to set up your DNS records. You will need to post the following DNS changes to the zonefile for the domain or subdomain you chose in the previous section. If you’re unsure of where to make these changes, you will need to check with the person on your team who manages the DNS for your domain. Make note of the current domain name of your GreenArrow server. This will look like c123.drhinternet.net (the number 123 will be different for your server, so make sure you have your server’s domain). In the bottom right corner of the DKIM Keys configuration, click Add DKIM Key. Selector: If this is your only DKIM Key on drh.net then you can use the selector provided. If you already have a DKIM Key that is using default as the selector, then you’ll need to choose another. On the next page after saving, scroll down to DNS Record for Public Key. Use the data in those fields to create the DNS record by copying the Name and Value from GreenArrow into your domain’s zonefile. In the bottom right-hand corner of the Domains configuration, click Add Aliased Domain. In the bottom right-hand corner of the Domains configuration, click Add URL Domain. 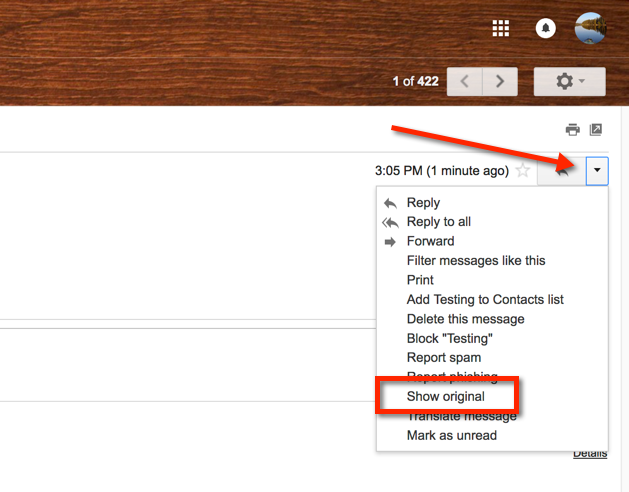 We recommend testing the above configuration by sending an email to yourself. 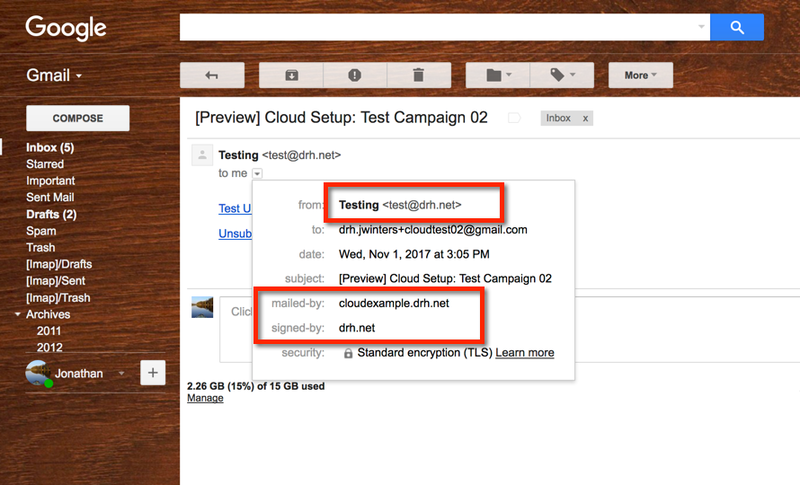 Gmail accounts are free and Google does a good job of exposing potential issues in the above configurations, so I’ll use Gmail in my testing examples. But any email service that checks for DKIM and SPF, and which allows you view the full headers of the email will work for the testing steps I have outlined below. Content: Create any simple content you would like. Make sure to include at least one URL. Segment: We aren’t going to send this campaign (we’re just going to use the Preview feature), so you can leave this unconfigured. FROM NAME: Any name is fine. If any of the above testing does not work or if you see a failure in any of the headers, then you’ll need to review all of the DNS changes that were made. Sometimes it is just a matter of DNS propagation (the time it takes for your DNS changes to show up out on the Internet), so you may just need to wait a few hours and test again.